It has come (rather rudely) to my attention that I really should not have gone off of my anti-depressants a year or so ago and that I have been slowly spiraling downwards since. I spent about half of the week following my return home from Washington on the edge of a major meltdown and I’ve spent the past few days calling Mental Health twice daily until they could move my appointment up to sometime this month. I haven’t been knitting, crocheting, or playing with clay. I just can’t make myself care about any of it right now. Tracy said she knew something was wrong when I stopped playing with my clay. She’s likely right that that was the first serious part of the decline. But that’s the thing about depression. You don’t always know when its happening until you’re so low you can;t see over the top of the pit any more. All of a sudden you realize you’re buried in this big deep hole with no daylight left in sight. The only good thing about having been here before is I know there is daylight beyond the rim and I know how and where to get help for it. 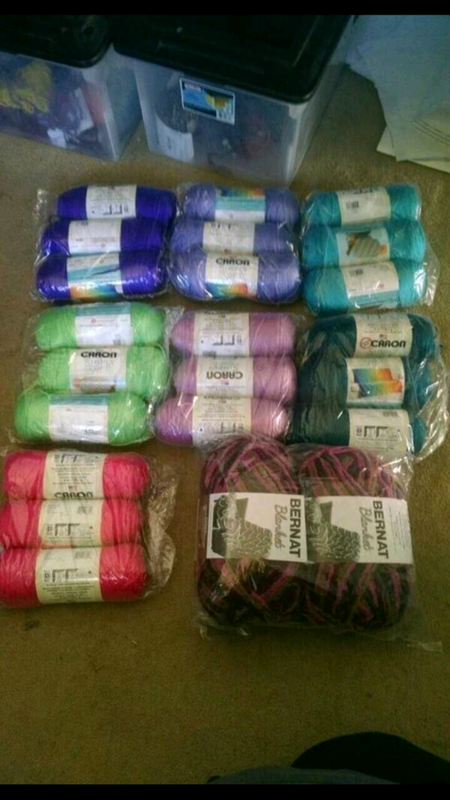 On a happier note, this is the yarn I ordered while on a great sale from Michael’s online. Its a completely crappy phone picture, but you can see the gorgeous jewel tones of the colors. Why so much? Because when you buy from the Michael’s website, you have to buy in warehouse inner pack quantities. In the case of most of the yarns, that’s 3 skeins, but some are different. 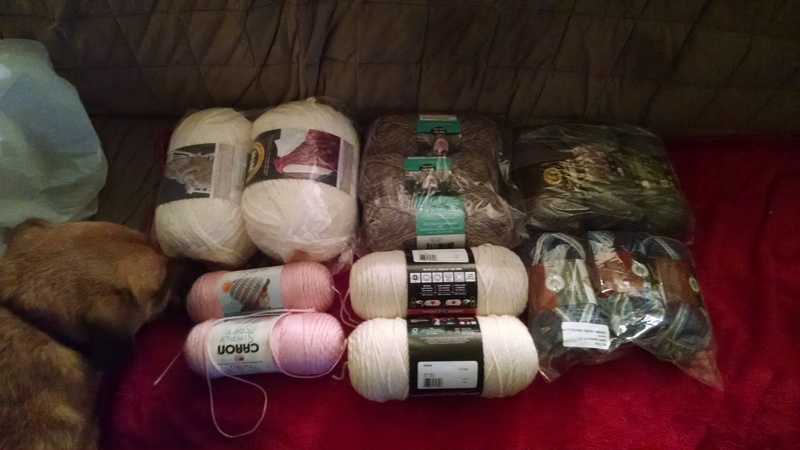 Then as if I didn’t have enough new yarn, my mom got me this mess for my birthday via one of the warehouse’s employee only sales. 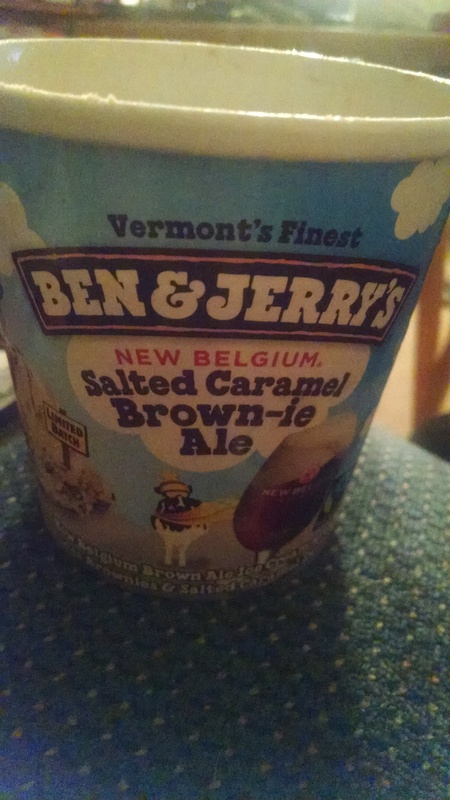 This though, BTW, is not a good Ben & Jerry’s flavor. The ice cream itself is alright but the caramel core is so salty its like brine. I might actually throw the rest of this pint in the trash and call it a loss. On the 15th I have an appointment in Panarama City for my consultation about getting a tubal ligation. I’m not looking forward to the drive down there, and I hope I don’t have to pay for parking, but if all goes well it puts me one step closer to making sure I stay child-free! Yay! And yes, I know its permanent, and yes I’ve thought about it a lot. For about 20 years to be exact. If I could have had this done at 20 easily I would have. I haven’t posted since around Thanksgiving. The holidays went by in a bit of a blur, but they were overall pretty good. Thanksgiving me did twice (once here with Mattie’s dad and brother, and once with my mom and her boyfriend) and then Mattie’s mom came into town around the same time. There was much gift exchanging over Christmas, and I can finally share my mom’s gift I made for her. This is the blanket I spent about 4 months working on for her and finally finished just a few weeks before Christmas. Its on her King sized bed, and that’s Mildred the cat claiming it as her own. Millie was supposed to be my cat but I left her with my mom when I moved in with Mattie because Lucy is not cat-safe. These are the details of what went into that blanket. A shitload of yarn. Almost 6,500 yards of it. 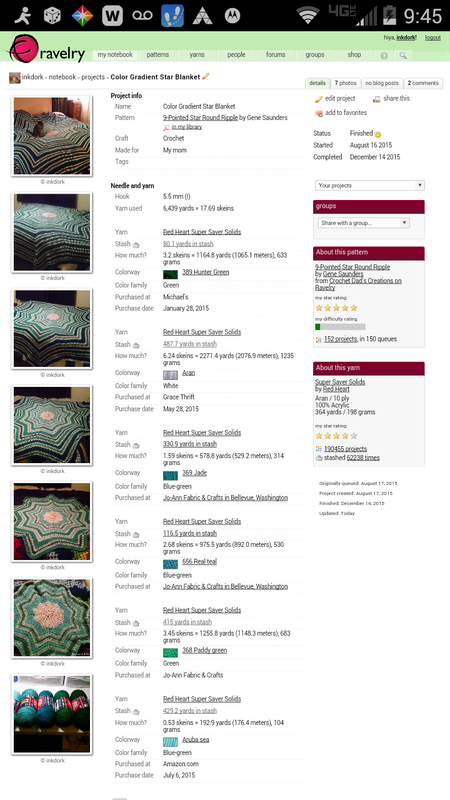 Thankfully a lot of that yarn (about 5 or 6 of the 17.7 skeins) were given to me so it kept the price down. 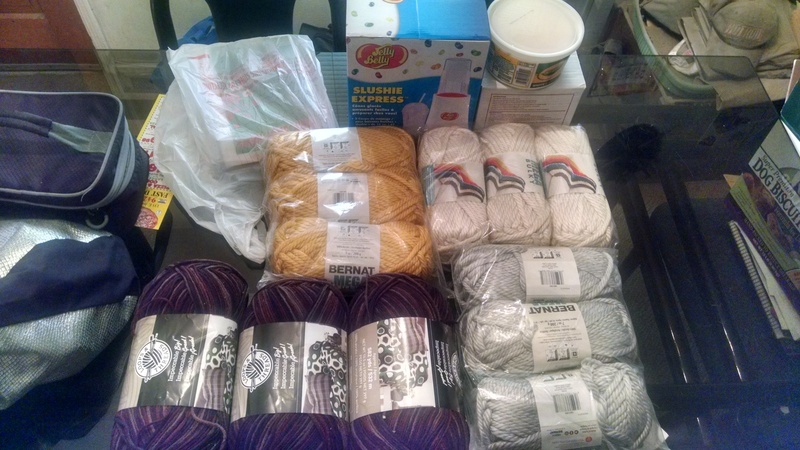 My mom got me a ton of yarn- yay! She has been listening when I mentioned some of my favorite yarns and the ones I use a lot of. Sashi approves! I also pulled out an older project and added a border to it so it looks more finished. This really made a big difference and it looks so much better! I’m torn between gifting this one or adding it to my shop. 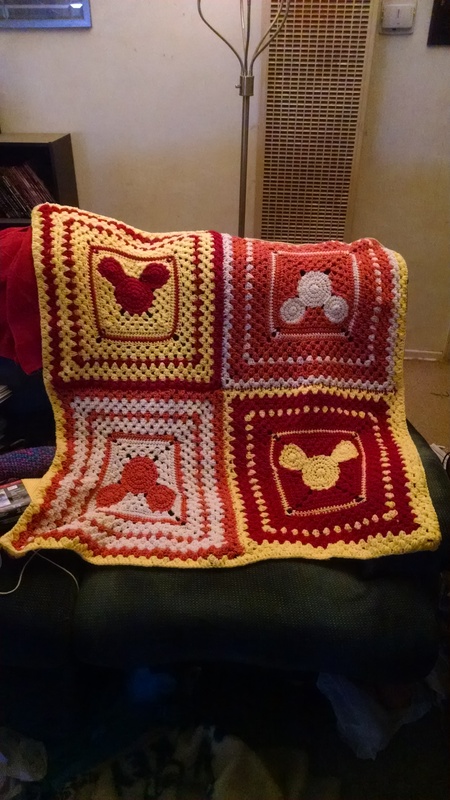 The pattern design for the Mickey heads and surrounding stitches belong to my friend Kate. She’s fantastic at crocheting up all sorts of things, and used to run a small business making stuffed animals from crochet. I’m also working on a knitting project that has a ton of firsts for me. I’ve run into one hitch on it but with some help from folks on the Ravelry boards I sorted it out, and hopefully in a few days I’ll be finished with it and can share it. New Year’s Eve was spent grocery shopping, baking cookies (which I burned half of them), and toasting champagne as the new year came in. I’m finishing my third glass of champagne now and then I’m off to bed. I hope you all had a great set of holidays and I wish you happiness in the coming year!